If Australian legal tender is your bread and butter, you’re in luck. Downies’ range of decimal coins spans a vast range of types and varieties. 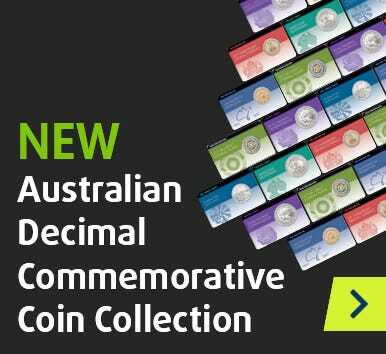 From the famous (but ill-fated) Round 50c coin to some of the most sought-after commemoratives this side of 1966, don’t miss our dazzling Downies decimal range. Every single coin below is a genuine Australian coin, and can be either circulating or non-circulating legal tender. Looking to fill a particular hole in your collection? Filter your view by denomination to find it in a flash (or let us know if we don’t have what you’re looking for)!